Do you admire grit? Determination? 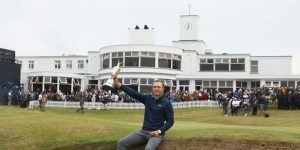 I found myself thinking those thoughts again as I watched almost-24-year-old Jordan Spieth seemingly rise from the ashes — Phoenix-like — to a thrilling win at The Open (formerly known as The British Open) on Sunday, July 23. He had led for three days, and it did seem he would win “going away” as the saying goes. Then came the bogeys. The poor shots, many going out of bounds. The announcers were worried, we viewers were worried — perhaps even Spieth was worried. We should have known he’d find a way to win. Let’s face it: He’s had a hell of a run since 2013, when he was 19, a rookie on the tour who won a tournament that year. In 2014 he won two more. The next year, 2015, was a year that 99% of golfers can only dream about: Spieth won five tournaments, including two majors (the Masters and the U.S. Open) and the season-ending FedEx Cup (worth a cool $10 million all by itself). He was the youngest player to ever win two majors in a season. The whispers started in 2016, even though he won three tournaments, including the Australian Open (again). But he also missed a couple of cuts, and a lot of folks were thinking (out loud) that maybe his best years were already behind him. Really? At 23? Talk about warped expectations! 2017 started off with him winning two tournaments, but he wasn’t dazzling us. Then came Sunday, July 23, four days before his 24th birthday, when he won The Open with a really wild ride, including just about everything you could imagine — several bogeys, an improbable eagle, a few hard-won pars, and a couple of late, tournament-winning birdies — and one thing no one could have imagined: a climb up a huge dune to try to find a lost ball and then the line of sight for a miraculous shot. Spieth displayed incredible grit, resolve, and determination. Yes, he got lucky, but he kept putting himself in positions that reward luck. And he prevailed over a tenacious Matt Kuchar, who fought all the way to the 18th hole, coming in second, three strokes behind. Jordan Spieth will take home the silver Claret Jug (for a year), the famed trophy that all golfers covet. Oh, and some money (close to $2 M). And a huge amount of prestige and fame. And he joins legendary Jack Nicklaus as one of only two players to have won three different majors (out of four) before their 24th birthday. Pretty good company, no? So, what do you get for a young man who is celebrating his 24th birthday — a young man who has won over $32M on the PGA tour in just five years, a young man who has won THREE major tournaments and 11 tournaments overall, a young man who has taken the golf world by storm and is being compared to the likes of Arnie, Jack, Tom, Seve, and Tiger? I guess we just wish him a happy 24th birthday and wait to see what he does next. Do you appreciate this kind of excellence? What examples have you seen? Please share them with us here. 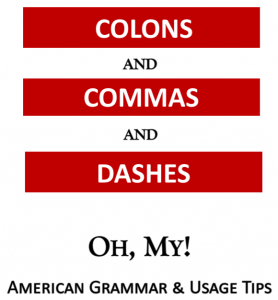 ← Ease Up on the Jargonese, Please!